Broken Social Scene Return with New EP, Share "All I Want"
Last week, Broken Social Scene hit up their faithful with a pair of new live songs. Now the band are doing one better by announcing a brand new EP. 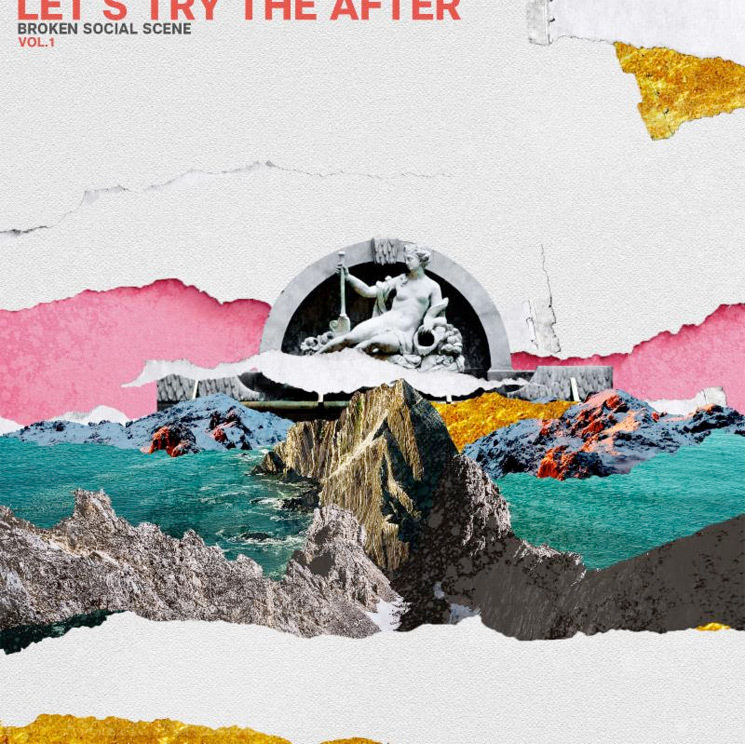 Titled Let's Try the After - Vol 1, the new five-song release will be out on February 15 via Arts & Crafts. For a taste of what's in store, you can hear the new Andrew Whiteman-led track "All I Want" down below. All songs on the EP were produced and mixed by Nyles Spencer besides the previously revealed "1972," which was produced by the band's own Charles Spearin and Joe Chiccarelli. "The point is to keep going," said band leader Kevin Drew in a statement. "We have more to give. These songs have lived beside us and become our commencement party while continuing together. We hope you enjoy this EP for you and me." these times easy for the mirror wars to continue. We can hide in the beauty of what has been stolen from us because somewhere there is mystery in not knowing. How can the ruined survive without a back up plan? In addition to the new EP, Broken Social Scene have announced a series of residencies. The group will perform in Montreal at the Corona Theatre on May 21 and 22, as well as in Los Angeles at the Fonda Theatre on June 5 and 6. Broken Social Scene Share New Song "Big Couches"
Broken Social Scene Reveal Another New EP, Share "Can't Find My Heart"